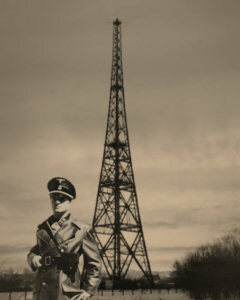 Alfred Naujocks and the Gleiwitz radio tower. Germany, Diplomacy: Following several days of covert diplomacy with Great Britain, France and Poland, events culminate on 29 August with a German ultimatum to Poland (the "Sixteen Points"). While the Sixteen Points are intentionally framed as reasonably as possible in order to appear attractive to the British, the Polish Ambassador Lipski for the time being ignores the entire document as diplomatically offensive. This is precisely what the Germans are counting on. Lipski falls into the trap set by Hitler to create another thin pretext for military action and reasons for the British to not support the Poles. It is a standard Hitler tactic, and it proceeds exactly as planned. With the diplomatic pretext working, the German High Command (OKW) issues final orders for Case White, the invasion of Poland, shortly after noon. Negotiations via Birger Dahlerus continue with the British virtually around the clock. As expected, the Polish refusal to consider the Sixteen Points immediately (as demanded) is used by the Germans in an attempt to fracture Western support for Poland. There are a few very subtle signs of this possibly happening, as the British at least keep talking to Dahlerus in London and make vague statements that leave open the possibility of further negotiations. Germany, military affairs: With negotiations sputtering along with Great Britain to prevent it from honoring its defense obligations to Poland, Adolf Hitler on 28 August rescheduled Case White (the invasion of Poland) for 1 September 1939. However, in a desire to create a military pretext for the invasion (in addition to the diplomatic pretext), several months previously he had asked his SS chief Heinrich Himmler to craft a sequence of border "incidents" to "justify" military action. Collectively, these incidents would proceed under the code name "Operation Himmler." In later parlance, these are "false flag" operations, perhaps the first in history. One of these incidents, and the most notorious, was Operation Grandmother Died ("Unternehmen Grossmutter Gestorben"). This would involve a supposed Polish attack on a German radio station that was close to the border at Gleiwitz. Why the Poles would suddenly attack a random German radio station was unclear, but it made sense to the Germans. SS-Sturmbannfuhrer (Major) Alfred Naujocks organizes the plan. He uses one Franciszek Honiok, a Catholic Polish farmer who had proven troublesome to local German authorities in Silesia. Honiok had been arrested the previous day on a pretext. On 31 August, he is given a lethal injection and then, dressed in a Polish uniform, driven to the radio station. There, he is shot multiple times and left on the station steps. Afterwards, Naujocks has someone broadcast a message in Polish urging an invasion of Germany. Then, he and his soldiers leave. The incident forms a major pretext (a "provocation") for Hitler's speech to the Reichstag the following morning "justifying" the unprovoked German invasion of Poland. 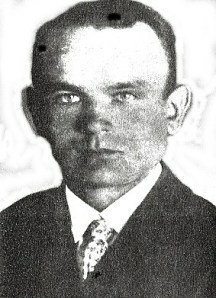 By some interpretations, Honiok becomes the first casualty of World War II.